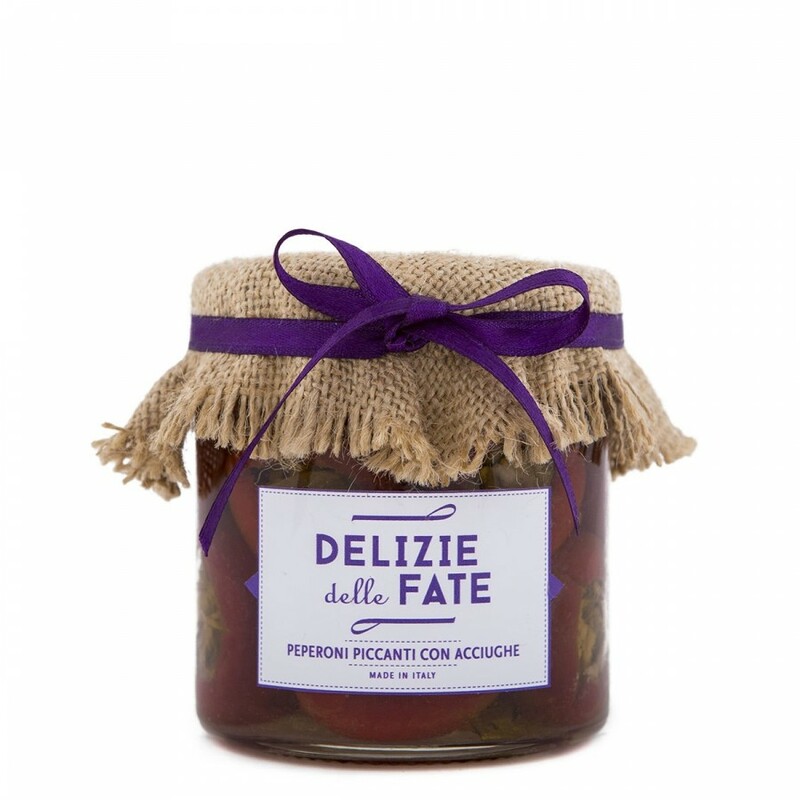 Ingredients: 45% cherry peppers, 30% extra virgin olive oil, 12% anchovies, capers, wine vinegar, salt, sugar, lemon juice. Description: Slightly spicy, red, round peppers stuffed with Mediterranean anchovies and capers, seasoned with extra virgin olive oil. Excellent with taralli from Puglia, spicy stuffed olives, lampascioni and zucchini rolls with tuna.